Today we made a DIY with one of the motys of the story “1, 2, 3 LunaSol” written and illustrated by ICalleIlustración. 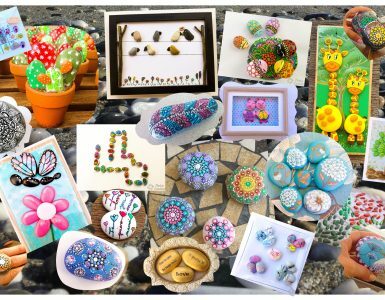 She is a great blogger with whom I share the adventure of being a mom, with inventions to entertain the children doing activities and crafts that we like to share. 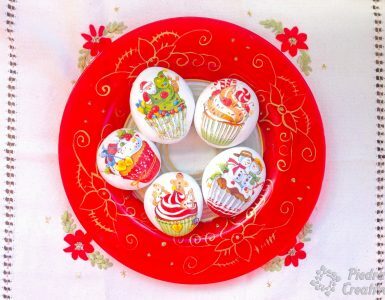 We invite you to visit his blog full of surprises and interesting information. 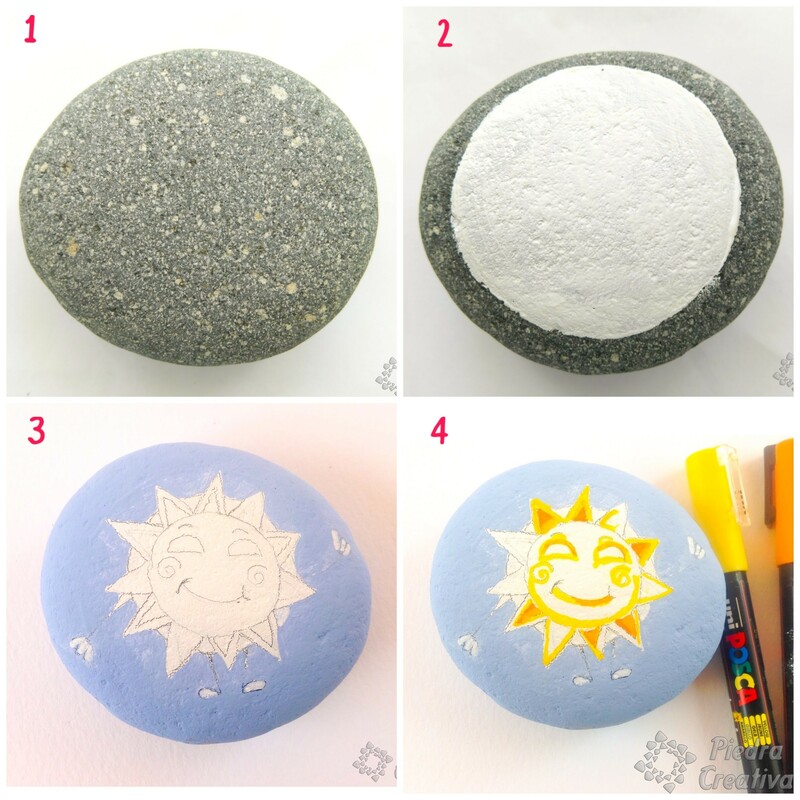 To make this DIY of the sun painted in stone, you will need to download the story of 1, 2, 3 LunaSol. This story is free and recommended for children from 0 to 5 years old, will learn to count, add and concepts of night and day…. You must clean the stone’s surface before beginning. So make sure the stone is clean and dry before you begin to paint it. 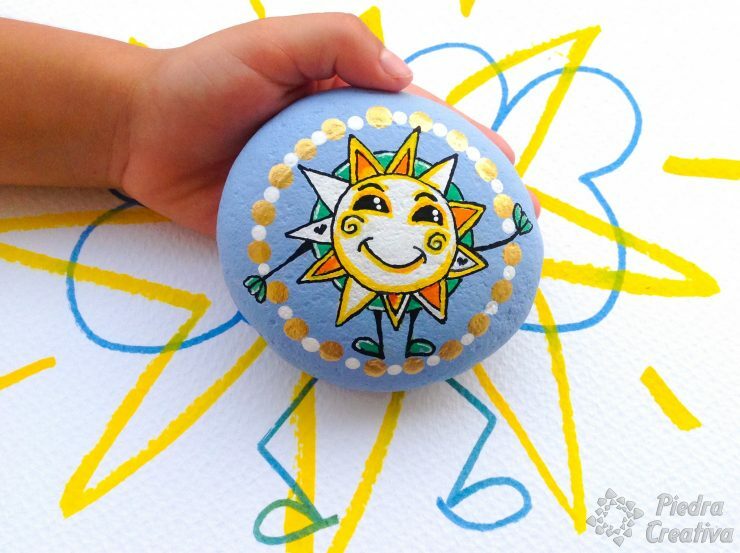 Paint a white circle first if the stone is dark, so that the center is brighter and brighter. If you choose not to paint the white circle, paint the entire blue stone. If the blue is very dark, you can mix the blue with white paint to lighten it. Apply a couple of layers of paint and remember to let it dry well between each layer. 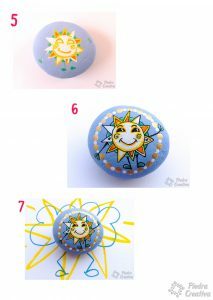 When the paint has dried, draw with a pencil of soft mine or very softly the sketch of the sun. To make the circle of the sun, you can help with a cap. 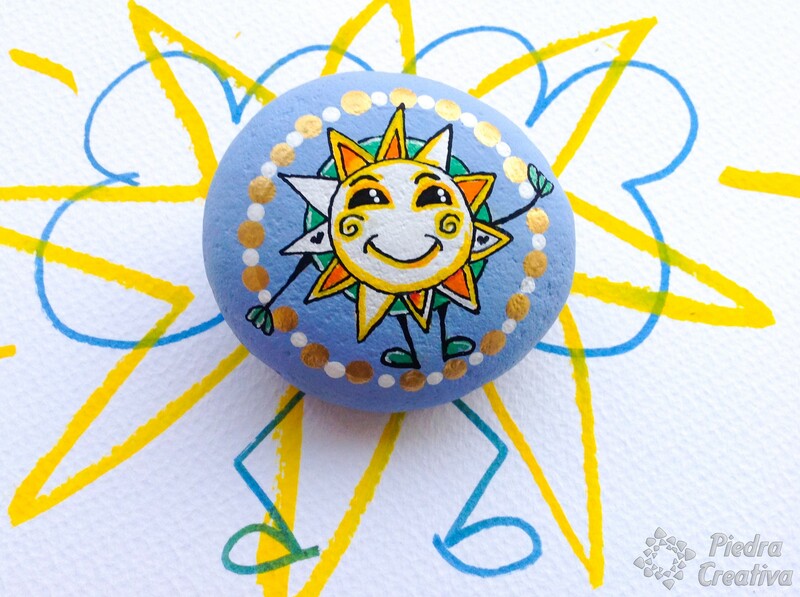 Paint with yellow and orange marker the sun and fill the outer circle. For Moty’s hands and feet he uses green paint. Finishes by outlining the entire outline with a black marker. Use two sizes of sticks to make the points around. First paint the large goldfish and leave room to make the white spots a little smaller. It is important to protect your craft from painted varnished stones so that the paint will not spoil. Apply a pair of hands to make sure it is well protected. Ready! 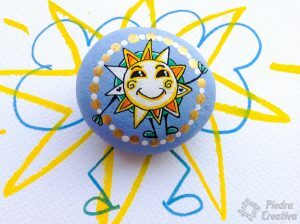 We have already made the Moty of sun painted in stone, perfect to remember this beautiful story. 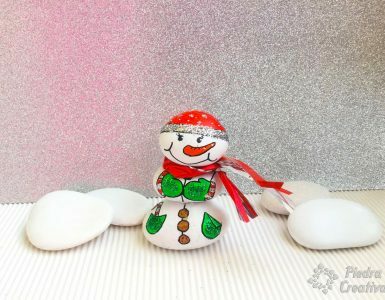 We hope you enjoyed this post and enjoy reading the story and painting this craft that we have done. A huge kiss, and greetings “♥” to ICalleIlustration. If you want to leave a suggestion or question you can do it in the comments section. Thank you very much!